I can not believe that it is already January 1st 2013. I always say this....but where on earth has the time gone? It seems like life is just flying by and there is no way to slow it down. All we can do is be conscious of how precious "time" is and try our best to cherish every moment we are given. Our days are numbered & we never know how much time we will have. As I think about the past few years the first word that comes to my mind is "CHANGE"
In December of 2010 I found out I was pregnant with our very 1st baby. John and I had dated for 3 years and been married for 4 years, so it was perfect timing. We had loved the time we had spent together with just the 2 of us but we were ready, well as ready as we could be to start a family! 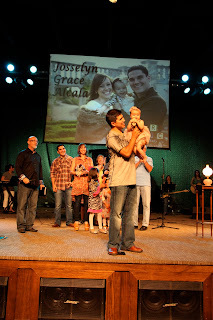 Then in August 2011 our 1st baby girl, Josselyn Grace Alcala was born. She was completely heaven sent & a true gift from the Lord. She came at such a crazy time in our lives when total "transition" was taking place around us & in the ministry we work with. Josselyn brought me joy & sanity in the midst of a really tough and what could have been sad time in my life. The Lord knew Josse was just what we needed & I am so thankful for that. This past year in August 2012 I found out I was pregnant once again! I feel like I was just pregnant with Josselyn and here we go again for round 2! It was not exactly "planned" but we are over joyed with the idea of our famiy expanding. In this upcoming year 2013 we will be welcoming another baby girl into our lives. As you can see there is a pattern that is forming...I am either getting pregnant or having a baby every year!!! but I promise you this pattern will not continue after 2013 (Lord willing) haha Anyways "CHANGE" is definitely what we have experienced the past few years especially last year in 2012. 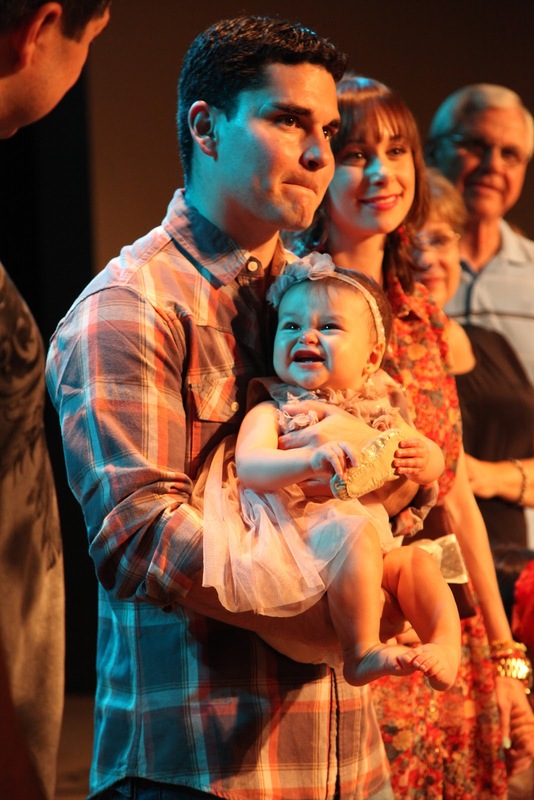 Josselyn was just 4 months old when we rang in the New Year last year and boy do baby's change a lot in that first precious year. This past year Josselyn has learned to sit-up, crawl, walk, run, climb, dance, eat food, finally drink from a cup, say her first word (and now talk up a storm), cut her 1st tooth (now she has 9), say a prayer, read a book, feed her baby doll & even have a little temper fit lol. After Experiencing all the changes in the first 12 months of Josselyn's life & I am totally convinced that out of all the year's in our lives the very 1st year is when we experience the most changes! Some how my little girl went from a helpless tiny infant to this independent little ball of energy that never stops. It is unbelievable!!! Last year was full of so many sweet, wonderful joyful up's as well as a few hard, difficult down's. All in all it was a beautiful year that I will never forget! Here are a few highlights from 2012. 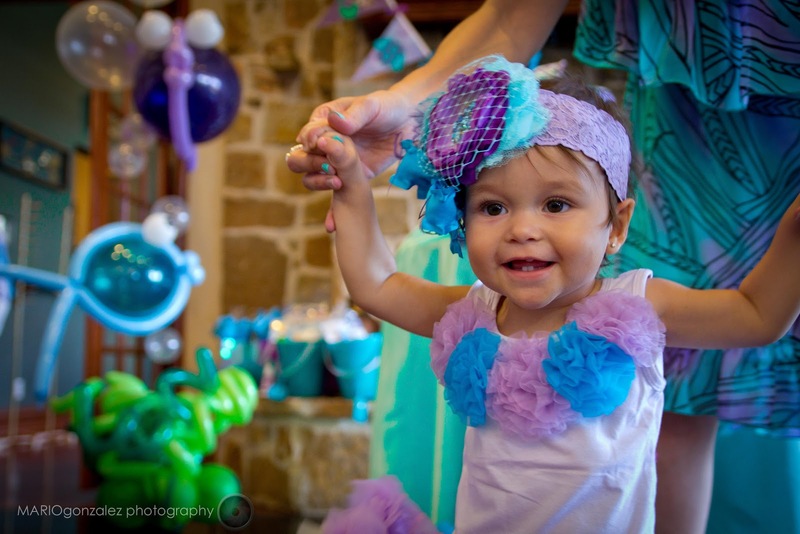 Josselyn's 1st Under the Sea Birthday Party in August 2012 was so much fun! We found out that we are expecting baby #2. Josselyn is going to be a great big sister! 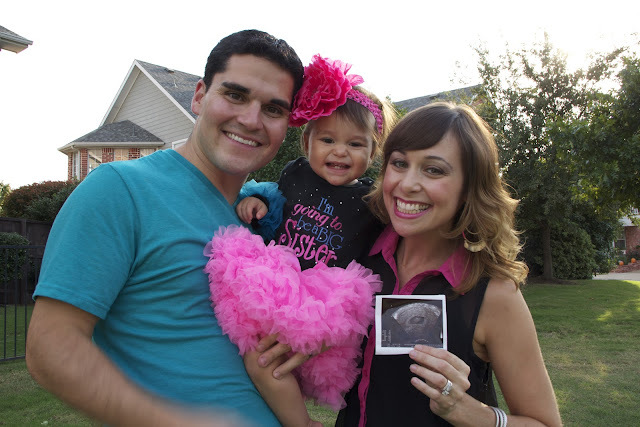 We had a "Gender Reveal Party" in December & found out baby #2 will be a GIRL! My goal (Resolution) for 2013 is to live my life with a PURPOSE & to live each day like it is my last. There is a huge difference between "drifting" through life and truly "living" life. My heart's desire is to LIVE out the life the Lord has blessed me with. My goal is to love GOD, love my FAMILY and to KNOW God & make Him KNOWN. I am believing that the Lord will give John & I new vision, new dreams & a new healthy baby girl this next year! I am also believing that addictions will be broken in my family & my loved ones will come to know Him. I am already praising God in advanced for the miracles that are going to take place in 2013. It is time to say good bye to the past & embrace the future from this day forward! Brothers, I do not consider myself to have embraced it yet. But this one thing I do: Forgetting what lies behind and straining forward to what lies ahead. P.S. I am all about New Years Resolutions (you can never have too many haha) and as I was looking back at my last years "New Years Blog" These last 7 lbs... I decided that the New Years resolutions I set for last year were perfect for this year as well (except the one about losing 7lbs). So basically I am keeping 4 out of 5 of my previous resolutions as well! I am going to spend more time in the word, pray more, live in the present & spend less time on social media. In my opinion those are 4 things I can continually work on for the rest of my life!